On the web you can find alot of articles that describe various tricks & tips on how to increase the number of your twitter followers. Additionally lots of companies have created software & services that can help you automate the whole procedure. Even if some of those programs and techniques do work in some cases, it is highly recommended not to base a social media campaign on spammy techniques because it can really affect your company image. In this article I will focus on well-tested white-hat techniques that can be used to increase the number of your followers. I stress that these are not magic tricks that will increase your followers in one single day. These are good techniques that can help you on the long-term increase the number of your twitter followers, maintain them and build a loyal target audience. If you want to increase your follower count, make sure you post regularly & send most of your tweets during the right hours of the day when most people are online. If are an active blogger you should place relevant social media buttons on a strategic position of your blog. Do keep in mind that usually the best position for a button is on the top of the article, near the title. Also it is recommended to use the standardised buttons that people know and trust. Finally it is recommended to use buttons that let your readers see how many shares or likes a particular post has. This will encourage them to share it with all their followers. Adding a “follow me” twitter badge on a visible area of your site will help you attract more users. Also it is a great idea to add your social media profiles in your Contact page. This is because some people might find it easier to contact you through these channels rather than sending you an traditional email. This encourages the people that contact you by email, to find you on twitter. Also adding your other social media profiles like LinkedIn and Facebook is a great way to increase your business connections. This can help you increase the number of followers from your own industry. Twitter uses #hashtags to group together tweets or add additional information about a message. For every topic, industry or event the community will use alot of different hashtags. Here are some examples: #SEO #socialmedia #SEM #Digitalmarketing #Google #followfriday etc. Every Friday twitters will recommend other interesting users to their followers. Make sure you recommend other important followers to the people that connect with you. In alot of cases you will see that they will do the same for you. The 2 most popular #hashtags about Follow Friday are the #ff and #followfriday. If you want to be popular on twitter you must interact with other people. Chat. discuss, provide feedback, retweet messages, ask and reply questions. Do not forget that the main aim of social networks is to socialize with others, not only to promote your company. Adding accurate bio & information in your profile can assist other people find you and follow you. Selecting a good profile image & background can also help you to show users that you are a professional. Also don’t forget that first impressions are very important. It like getting a management job in Malaysia . Twitter is a great place to find new internet friends, exchange ideas & participate on discussions. By socializing with other people you will not only increase your followers count but also be able to influence other people on twitter. Sharing high quality content and messages with your followers is very important in order to become popular. By sharing your views, news, trends, quotes, links & websites that you found useful, you can slowly increase your followers and become a more influential user. People usually give credit to the original author of a tweet, when they Retweet (RT) a message. Many times they choose not to use the ReTweet button because they want to add their comments. But by sending messages shorter than 140 chars you give the chance to other people to give credit to you by placing your username in the tweet or to add their comments. This will help you generate conversation and increase your twitter followers. There are a lot of twitter directories out there, where people can find other twitter users with similar interests. But not all of them are worth using, but there are few such as WeFollow that receive lots of traffic and is pretty good. Conducting contests on social networks can help you increase your business brand awareness, your followers & the traffic of your site. There are many applications that can assist you connect your Facebook or LinkedIn profile with Twitter. In this way you can post the same messages to all the people that connect with you on the many different social networks and increase your total social connections. When posting a comment on a blog, it is a good practice to add your twitter profile as the link. This can help you start a conversation with the authors and thus increase your followers. When people ReTweet, mention you or help you, make sure you thank them. Not only is this the proper thing to do, but also they will appreciate it and they will continue support you. If you start to spam your followers they will unfollow you and you will kill your reputation. Keep in mind that honest & transparent behaviour can help you not only increase your twitter followers and keep the ones that you have. As we said above it is important to tweet often and send quality messages. Due to the fact that you can’t be on Twitter 24/7 or you might not have always something useful to send, you can create a list of interesting topics, tips, techniques, articles and references and use them when you are stack. This list can contain useful information about your industry how-to articles, tutorials and references to your blog. 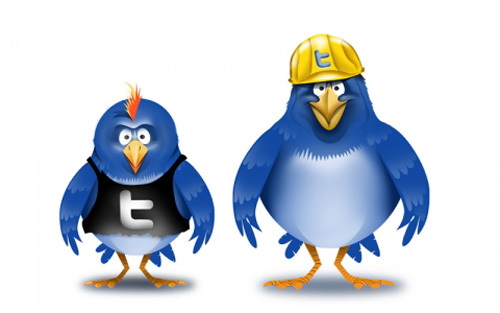 TwitterFeed & similar services or programs can help you automate your tweets, connect to your blog with Twitter & Facebook and schedule your future tweets. 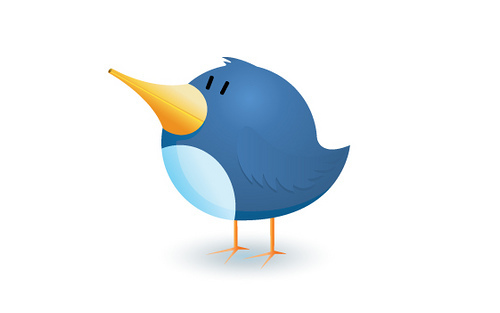 These services can increase your follower count because they can help you tweet more often. Nevertheless remember that these services should not be replacing you on social media & that you must remain an active user. Twitter has added a couple of features recently, that while adding more social elements may risk ‘jumping the shark’ a little. The new features are the ability to see what tweets your followers are making as well as those made by people they follow. They also added a “stumble through” button allows you to shuffle through your followers tweet streams. Now how many people are scratching their heads wondering what all that was about and if it is something users really need? The beauty of Twitter was its simplicity. Being forced to communicate in 140 characters at first seemed ridiculous but quickly took hold because it was simple. The company played with a few features over the few years of its existence but dropped most as they did not foster that simplicity. Now it seems Twitter wants more interaction between its users and are launching these new features to foster this. But should they? “You can see above that you will be able to click on a person that youíre following and see Tweets from their followers. This means that you are effectively looking at their Twitter stream,” the Next Web noted. The feature had been available a couple of years ago but was pulled, they added. The ‘stumble” feature has not rolled out globally but the pic below shows there will be a button to click to go through and see others tweet streams. This could come in handy, but is it essential? Social media sites have a tendency to get lucky with their initial service offer and then make changes to what they belive their users want and in many cases they are wrong. Hey, even Google has launched bad products and pulled them quickly. Why do I want to randomly see a twitter stream of one of the people I follow? Is this a feature to just get more interaction? Twitter does not run ads so the extra pageviews will not add to their income – or are they ready to monetize and want to have some increased pageview generators in place? One has to wonder if the people at Twitter are making moves that may become too intrusive and change the perception of this simple yet popular communication tool. Twitpics was a hugely successful feature – whether these two new ones become popular has yet to be seen. Personally, I don’t think this feature will become very popular… but I have been wrong before.